Dell and Hewlett-Packard are indeed two of the most trustworthy Laptop manufacturers! In fact, both companies do make desktop devices, but the market-shares aren’t based on that, you know. Therefore, it’s natural if you doubt between Dell vs HP when you need the best laptop. In fact, there is a lot of similarities between these brands. For one, both manufacture budget-friendly laptops and high-end ones alike. From the customers’ perspective, you should have a clear view on this, to choose the better laptop deal. In this HP vs Dell comparison, we will talk about both laptop brands. We can also go through aspects like pricing, support, features etc. In the end, we assure you something: you can pick the right laptop for your needs. We do understand that selection is tough, even when you are in a brand. So, we will also suggest two laptops from Dell and HP each. So, shall we start? To start with, we will have an introduction to both Dell and HP, as laptop manufacturers. Dell Inc. is a multinational computing company, based in Texas, United States. It started 32 Years back, for providing both hardware and software services, particularly coming up with new devices. On September 7, 2016, it was merged to form Dell Technologies. Now, officially, Dell Technologies is into a variety of products such as Personal Computers, Smartphones and Networking and Hardware devices. Nevertheless, Dell is still noted for its varying range of Laptops and Desktops – not to mention the other hardware components. And, YES, you can find Dell laptops for almost all kinds of budgets. Now that you have an idea about HP and Dell, we will move onto other aspects of this brand duo. Before that, however, we think it’s better to take a look at two of the popular devices from Dell vs HP. We have chosen the two different laptops from Dell, belonging to two various budget ranges. These devices don’t just come with best-in-class hardware but also are loved by different users out there. 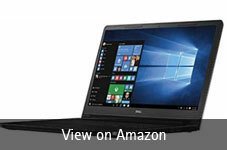 Dell XPS 13 is one of the most popular and expensive laptops you can purchase from Dell. It packs in high-performance hardware specifications and the great support. At 2.6lbs, the weight isn’t a problem at all. If you are looking for a quite portable laptop for official use, Dell XPS 13 is the optimal choice. Let’s have a look at the specifications too. Are you looking for a mid-range laptop that can fulfill your day-to-day digital requirements? Then, you should have a look at Dell Inspiron 3000, which is a budget-friendly choice. For the price you pay, you are getting standard processing speeds, connectivity options. Although not the lightest device in the market, Inspiron 3000 is somewhat portable. These are the products you can buy with confidence, from Dell. As you can see, the two choices are from premium as well as budget-friendly categories. 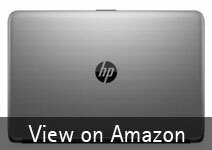 Here are the two selections from Hewlett Packard laptops. Of course, one is for the expensive budgets and another is for those who are budget-conscious. We hope it helps you select things better. HP Spectre 13-v021nr is perhaps the best HP laptop you can purchase if you have a huge enough budget for that. And it is the world’s thinnest laptop and the lightweight one, at just 2.45lbs. HP hasn’t compromised features or hardware richness to reach that state. It’s also one of the performance-oriented devices around. If you are looking for the budget-friendly alternative for performance-based laptops, HP 15-ay018nr is the choice. It is packing in a bunch of high-end specs, but the pricing is just around $600. As it turns out, we found the HP 15-ay018nrto be an excellent choice for students and basic-level professionals. Its hardware specifications are impressive too. You can consider these two products when you have sure to stick onto HP Laptops. Now, we will move onto different aspects like performance, appearance etc. Let’s keep things simple. In comparison, Hewlett Packard laptops are more suitable for performance. You’ll understand that by looking at the common specifications of HP laptops, even in the budget-friendly sector. 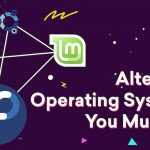 You can surely find 4 GB of RAM in even the sub-$500 budget. Also, there are some other factors like the less amount of bloatware. HP does not put much complementary stuff in their laptops. So, in the end, when comparing, Dell lags a bit behind. If you are expecting the best-in-class performance for the price you pay, you should go for HP. Dell laptops are always noted for its varying designs and aesthetics. Depending on your budget, you can find a wider variety of compact designs within the brand. There are thin-profile ones and the thicker ones, subject to the types of hardware requirements you have. Except for a few cases, HP follows the rudimentary laptop designs. They are not, though. However, it’s hard to choose an impressive color of pattern when you are into HP. If you need the answer in a few words, we will say HP is utilitarian when it comes to laptop designs and customization options. HP Spectre series can be included in the exceptional set of cases, by the way. So, if you are concerned about different designs and patterns, you should go for Dell. But, there is another aspect too. This is where Dell goes a lot ahead of Hewlett Packard. It could have been a tie between Dell vs HP, but Dell seems to be the upper-hand here. First of all, the customer support from Dell is timely. You can expect the replacement in the least time possible. There is also the fineness of quality and perfection. We have sometimes been amazed at the speed and perfection of Dell repairs and the courtesy. This does not mean that HP is offering quality-less service for its laptops. They are also quick and very times. And, if you can use the web-based system, it’s pretty amazing too. That having said, the quality isn’t par with that of Dell. In fact, Dell is supposed to be the laptop brand with the best customer support — ever. We hope that’s a good reason. Pricing is another area where HP has the upper-hand. As we mentioned earlier, HP laptops always come with the up-to-date set of hardware stuff. Even then, the retail purchase prices are very lower. in addition, you can get some extra discounts if you use one of the available discounts. The rates are even lower when compared to Dell. If we take some of the examples from hardware specification range, you will surely spot a difference of $100 or so. We suppose that’s an important factor for most of you people. 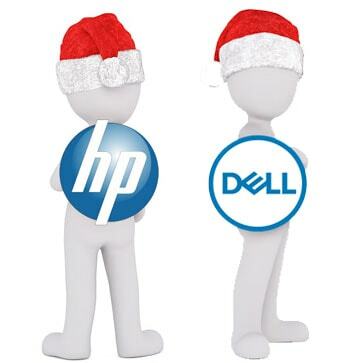 Now that we have compared the different aspects to decide which is better, Dell or HP. And, we can share our ultimate opinions now. 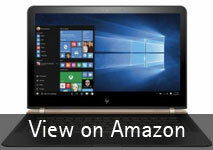 HP would be the better choice if you are concerned about high-class performance. Even in low-budget devices, you’ll spot the best performance. Also, we found out that, if running Windows 10 OS, the total usability of HP devices are something superb. There aren’t many bloatware to be mentioned, either. If you travel with a laptop and looking for a portable laptop then you can go for HP. The only problem with HP is the lack of new and innovative designs. Also, in comparison with Dell, the customer service may not be up to the mark. On the other hand, Dell is for you when you need best-in-industry customer support. With Dell, you don’t have to be worried about replacements or repairs. You also get an ample amount of warranty with every laptop purchase. Also, it offers better designs and features like Biometric access. The presence of bloatware may be a problem, though. When compared to HP, however, the pricing is a bit higher. That’s how you make the selection from HP or Dell. 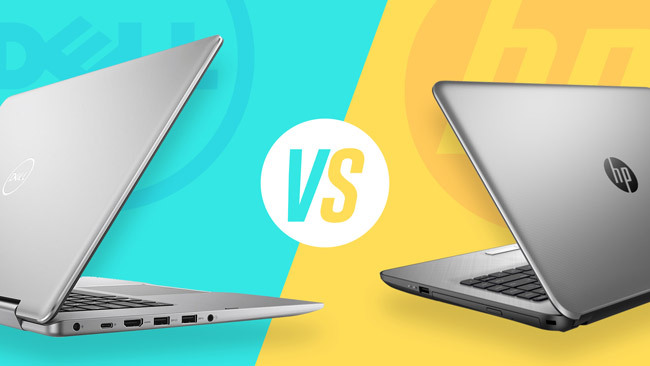 We hope this article helps you choose the best laptop from Dell vs HP duel. Which is better HP Pavilion Power 15-cb054tx or Dell Inspiron 5577? Hey Somnath, if the price is not a problem for you then I would suggest you Dell Inspiron 5577.